Self Cure Remedy details of Apply coconut oil for the care and relief of Acne, including effectiveness and popularity scores of the remedy. Coconut oil penetrates into the skin, kills germs and bacteria, neutralizes the inflammation, and helps pimples to point. Wash you face with warm water to open up your pores and keep it half wet. 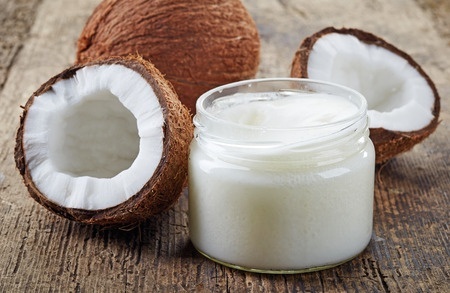 Apply coconut oil onto your face and massage it into the skin a circular motion for a few minutes. Soak a facecloth with hot water, wring it out and place it over your face to soak up the coconut oil. Wait for a few minutes and then wash your face with mild cleanser and warm water. The self cure remedy of Apply coconut oil for the care and relief of Acne has an effectiveness score of 2.6 and a popularity score of 76 on the self-cure system.